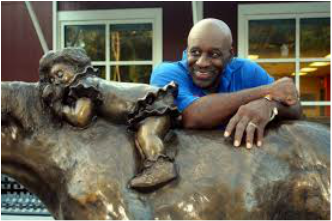 George Nock, former running back with the New York Jets & Washington Redskins was destined to become an artist. 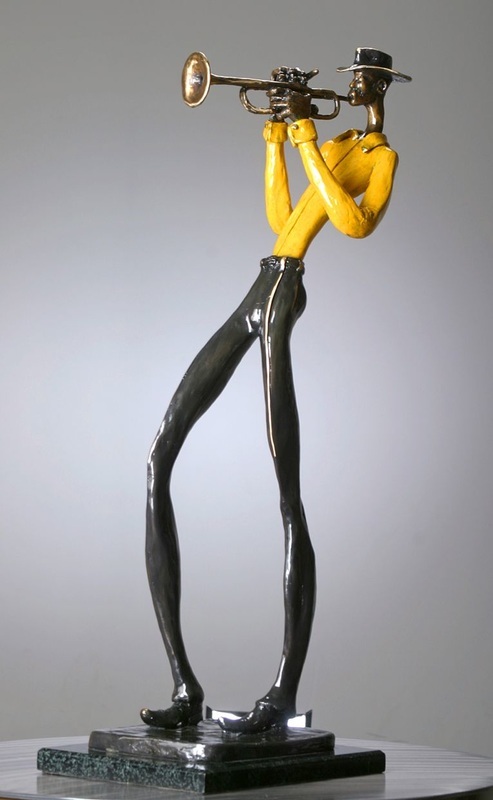 Introduced to drawing & sculpture very early in life, the self-taught, Nock has distinguished himself amongst the great sculptors of the 20th & 21st century due to an intrinsic ability to capture "the moment" with versatility in bronze often reflecting life's experiences. Inspired by two junior high school teachers, Mr. Tasker (sculptor) & Mr. Battle (painter) who both allowed Nock to etch, sketch, sculpt, draw & paint throughout high school. In 1964 on a sports scholarship, the soft-spoken athlete attended Morgan State University where he majored in Psychology. After four great Championship years at Morgan, Nock was drafted by the SuperbowlChamps, the New York Jets in 1969. Much of Nock's work is derived from some indelible experience stored in the crevices of his mind. Whether sculpting a figure from world history, a forgotten people, or a famed athlete Nock possesses the uncanny ability to capture the essence of his subject with a characteristic pose or expression.